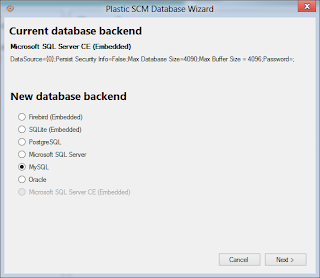 As you may know Plastic SCM is deployed with a nice SqlServer CE backend. Although it performs great, it has a database size limitation, you can't have a database file bigger than 4GB. So, what can you do when you reach the size limit or you simply want to go into production with a faster backend? Easy, migrate the repositories to a different database engine. 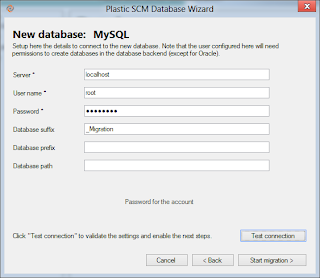 Plastic SCM is flexible and it supports a great number of database engines. Some of them are embedded systems which means that you don't need anything external to start working with them. Firebird, SQLite and MS SQL Server CE belong to this group. On the other hand, you will need to install external software to use PostgreSQL, MS SQL Server, MySQL or Oracle. This group performs better in a high demand environment. 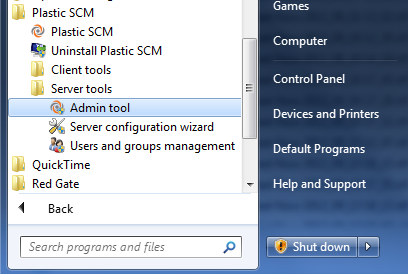 You will be able to find the Admin tool inside the Plastic SCM server components . This tool will allow us to migrate all the repositories from one database system to a new one in a few clicks. 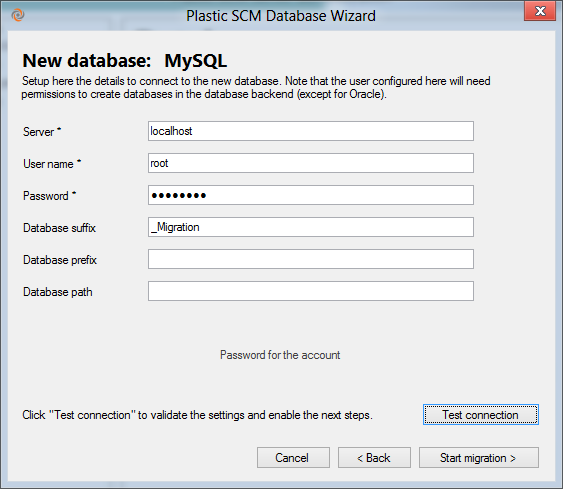 In this example we will migrate "Microsoft SQL Server CE" repositories into a MySQL instance, which is also free. We'll open the Admin tool and we'll click in the "Database" section, as you might see there're two options, click in "Migrate database backend" button to start the process. As you can see in the figure below all the supported backends are available except the one you are already using, as I said before, we will choose MySQL. MySQL needs some extra parameters, like the server address, the DB user name and finally the password. The "Start migration" button will remain disabled until the information provided is verified by the "Test connection" check. Optionally you can specify a database suffix, prefix and a custom database path in order to store the database files. 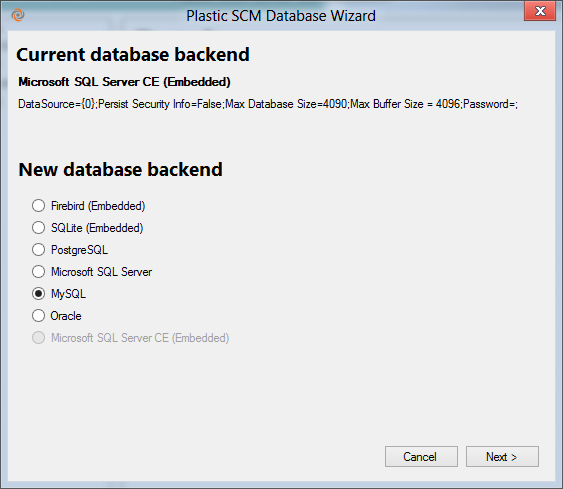 Note: If the target database system already contains Plastic SCM databases you will need to specify a prefix or suffix. Otherwise the process will not continue. Now, all we have to do is wait until the process ends. The repositories are going to be migrated into the new database backend one by one. 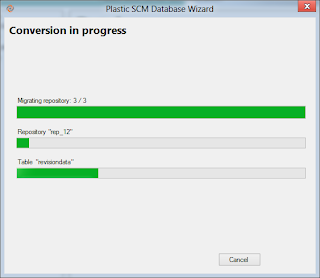 Once the process is finished you will notice that you have a brand new db.conf , automatically created and working with the destination database engine, if you start the Plastic SCM server service everything will be working with your new backend. 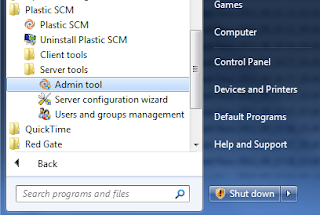 Migrating repositories is a hard task made easy by the Admin tool.